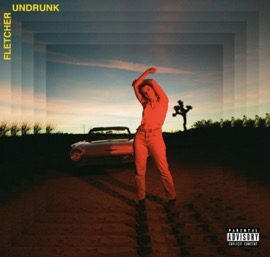 25 January, 2019 — (Toronto, ON) — FLETCHER – hailed by PAPER as “one of the most exciting female artists to emerge in pop” – makes her Capitol Records debut with the much-anticipated “Undrunk.” Simultaneously heart-wrenching and infectious, the single captures the post-breakup yearning for a do-over – and the realization that “Some things you can’t undo / and one of them’s you.” FLETCHER co-wrote “Undrunk,” which was produced by Malay (Frank Ocean, Lorde, Sam Smith). Download/ stream “Undrunk” HERE and watch for the official Emil Nava-directed video to premiere soon. A retrospective of emotions from FLETCHER’s NYU college days, “Undrunk” is an honest portrayal of just how bad it feels to have your heart broken. The song is the prelude for the next chapter of music from FLETCHER which will inevitably give us fodder for texts to exes for years to come. Creating infectious pop music at its most authentic, FLETCHER’s genuine approach to storytelling can elicit a visceral connection for anyone listening. FLETCHER hails from a beach town in New Jersey, where she cultivated her verve for music and candid lexicon. Fast-forward years later, her surname has taken on a form of its own. You may recognize FLETCHER from her viral music videos, which have accrued millions of views on YouTube; Or maybe on Spotify, where her songs have been streamed nearly 100 million times and has already covered the popular New Music Friday playlist three times to date. Or maybe you’ve seen her on stage—at Lollapalooza, Bonnaroo, Life is Beautiful, or one of the many festivals she has under her belt. 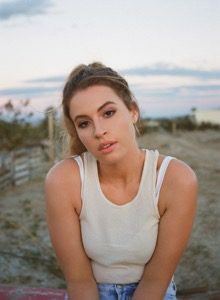 The singer-songwriter, who somehow also found time to graduate from NYU’s famed Clive Davis Institute for Recorded Music, has already begun carving out a space for herself in pop music, and it’s clear that she has much more to say. Since her successful independent debut in 2016, she’s released a few singles, including “Wasted Youth,” which hit No. 1 on Billboard’s Emerging Artist’s Chart; and “I Believe You,” a song dedicated to survivors of sexual assault. She hopes to focus more on female stories in her new music.